ruins of convento do carmo. – Big Cities. Bright Lights. ruins of convento do carmo. 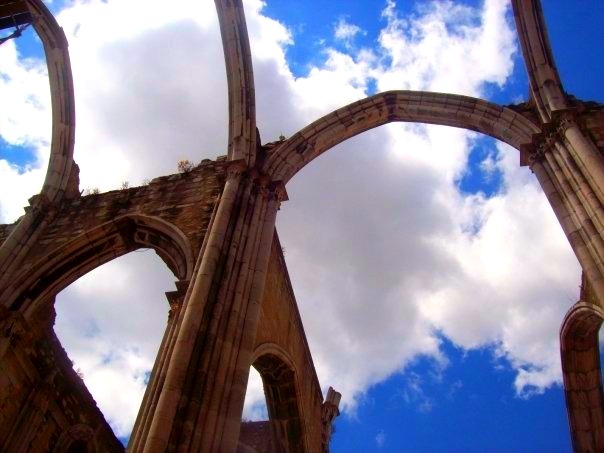 the convent of carmo was destroyed by the eartquake in 1755 and was never rebuild. it is now home of the archaeological museum and the main memorial for the earthquake, which destoyed most of lisbon. it’s right next to the upper entrance/exit of the santa justa elevador. the picture shows the ruined ceiling of the carmo curch.